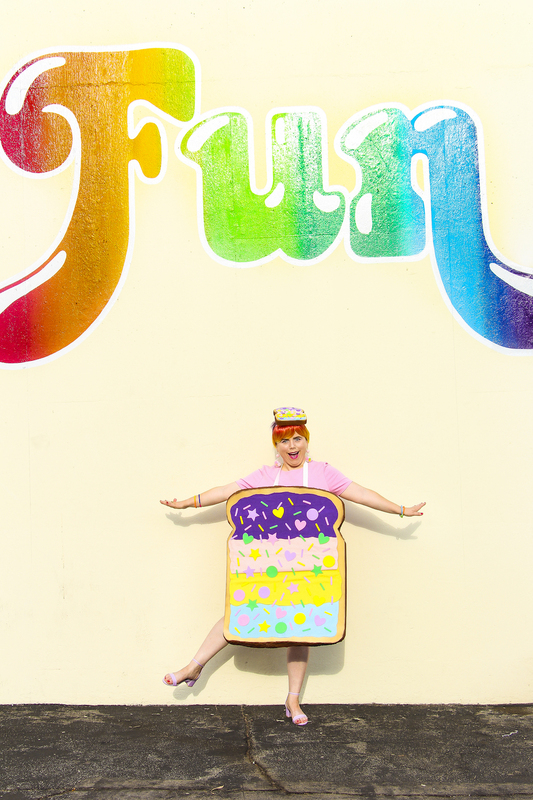 DIY Unicorn Toast Halloween Costume! 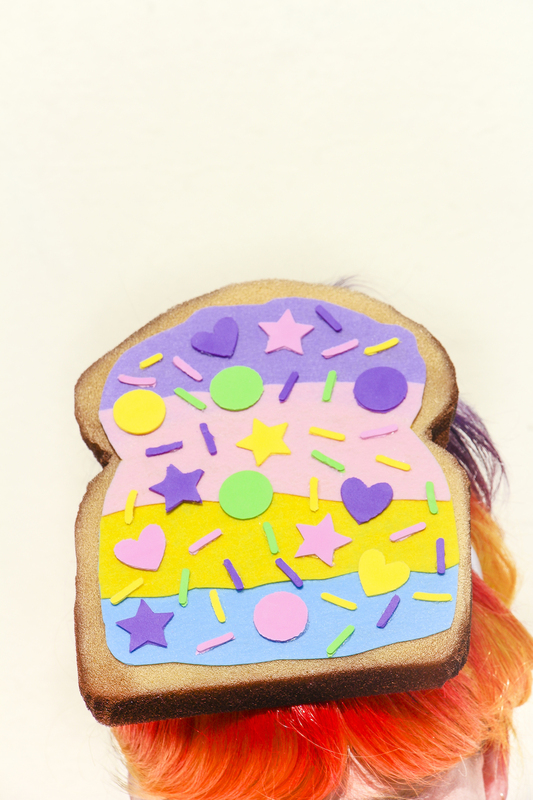 We’re keeping the DIY Halloween Costume party going with this super cute DIY Unicorn Toast Halloween Costume! 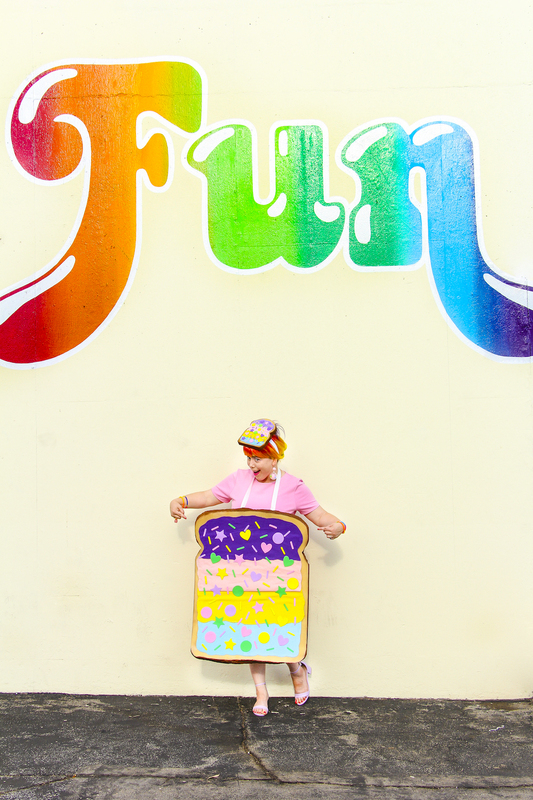 Our fairy bread costume last year was a big hit, so I knew I had to make a unicorn toast costume this year, since everyone is obsessed with unicorn food everything this year. I’m obsessed with this costume! 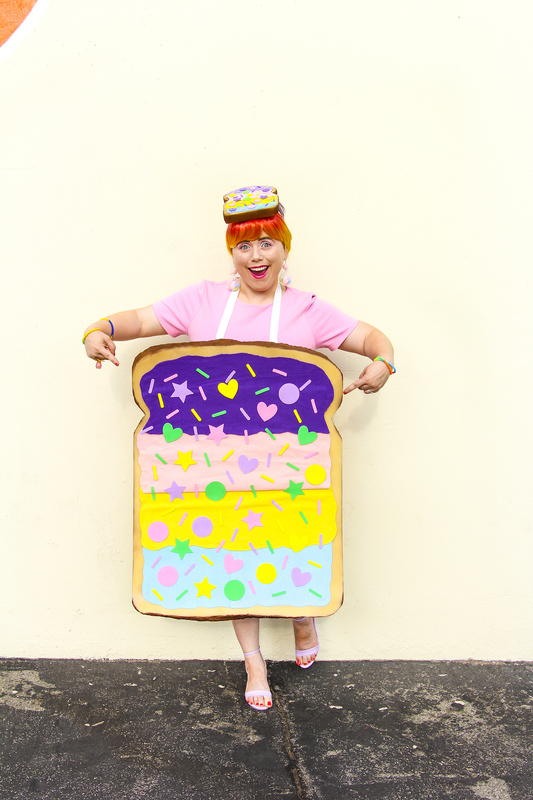 It’s probably my second most favorite costume after the Polly Pocket costume I made this year. 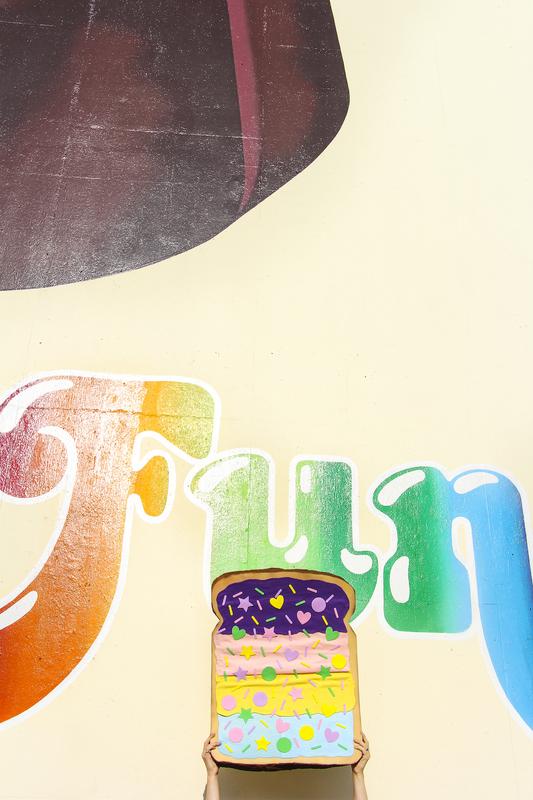 It’s just so FUN as the wall says! 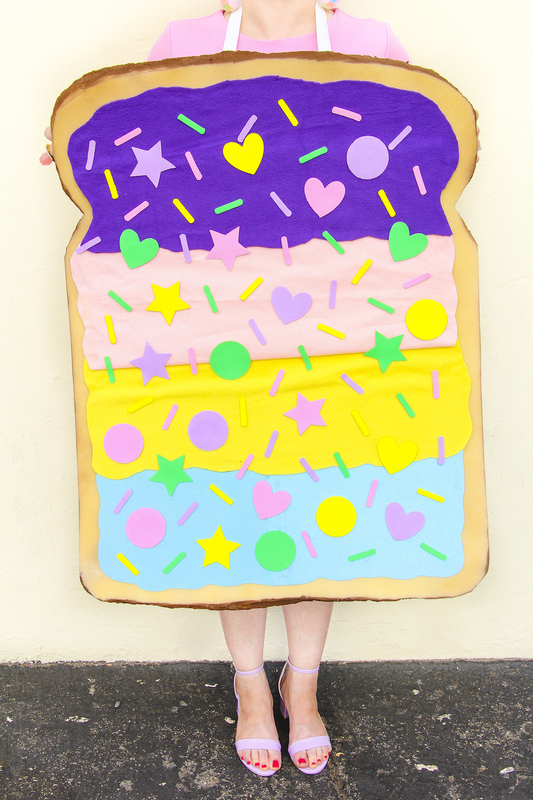 Who doesn’t want to dance around as a piece of colorful sprinkle covered unicorn toast this Halloween? I know I do! It’s not too hard to make and you’ll be a hit at every Halloween party you attend this year if you show up in this costume. 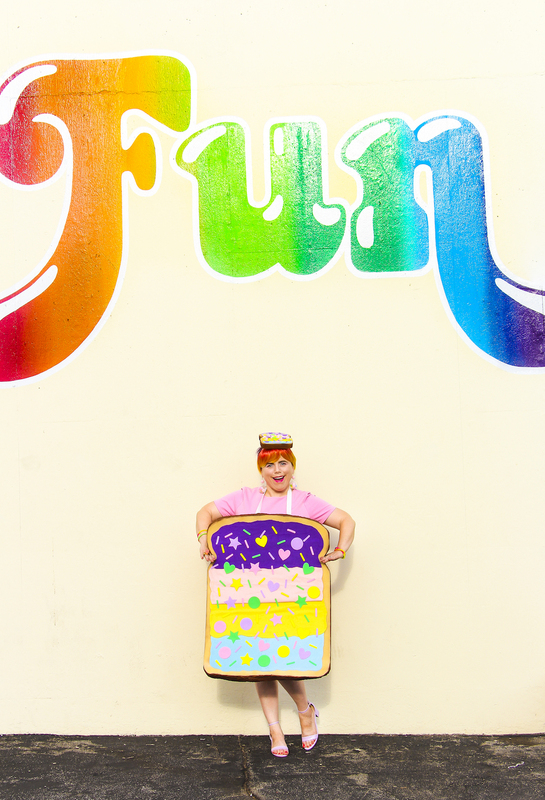 All hail the unicorn toast queen! Yassss unicorn toast queen! Yassss! 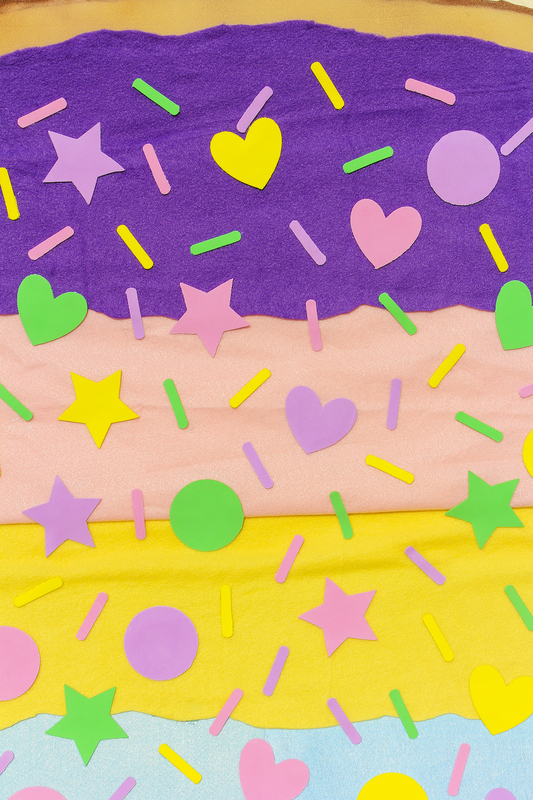 Pink, Purple, Yellow, and Green Graft Foam or these foam shapes, hearts, and stars. First you take your pencil and draw out the toast shape on your foam. You then cut out your toast shape from the foam. You’ll make sure to use your scissors to round out the edges as best as you can. 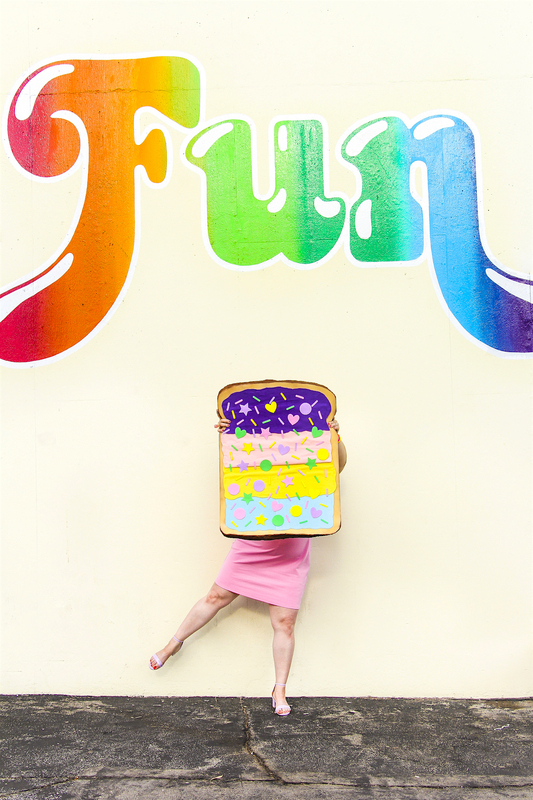 Once your giant foam toast piece is cut out, you then take it outside and spray paint the edges brown and the front of the toast a mix of Toffee, Sand, and Shock White spray paint. 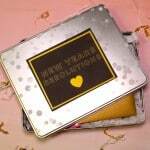 You can also spray hints of brown on the front too so it looks like toasted bread. Let your giant toast piece dry completely. 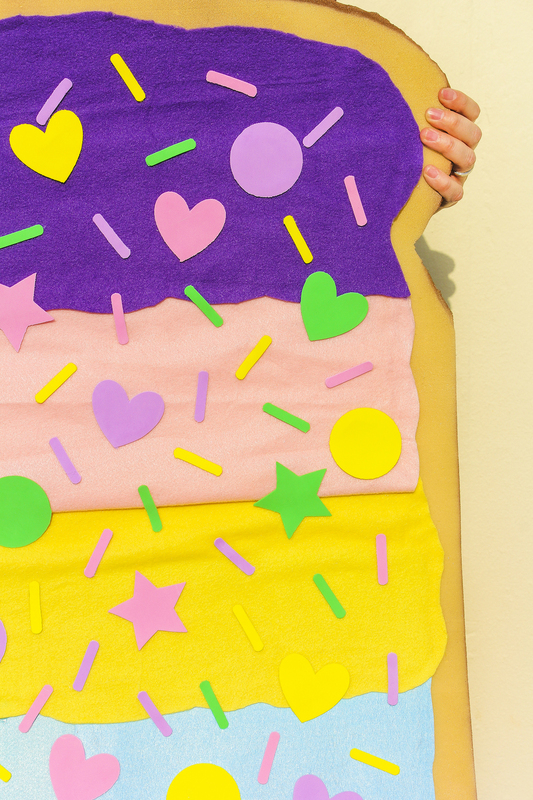 You then cut out your strips of purple, pink, yellow, and blue felt fabric. You’ll make a swirling rounded shape along the edges of each piece so it looks like it’s spread on the toast. When your toast is dry, you’ll glue each piece starting from the bottom up to your toast piece with your hot glue gun. You’ll cut off any excess you find along the edges. Follow the color pattern as I did or arrange the colors in any order you’d like. 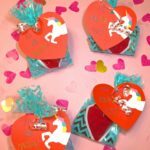 Once the felt strips are all glued onto your toast piece you then cut out heart, star, circle, and sprinkle shapes from pink, green, purple, and yellow craft foam using your Cricut Cutting machine. If you don’t have a Cricut Cutting machine you can use the already cut out foam pieces I mentioned in the supplies list and cut some the shapes to look like sprinkles. Hot glue each shape and sprinkle around the different colored felt on the toast. 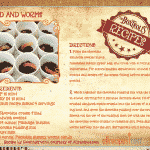 Make sure each strip of spread felt has a variety of sprinkle and shape colors. Let it dry. You then cut a piece of white elastic and measure it to the length you’d like it to hang around your neck and on your body. You then hot glue each end to the back of your giant toast piece. 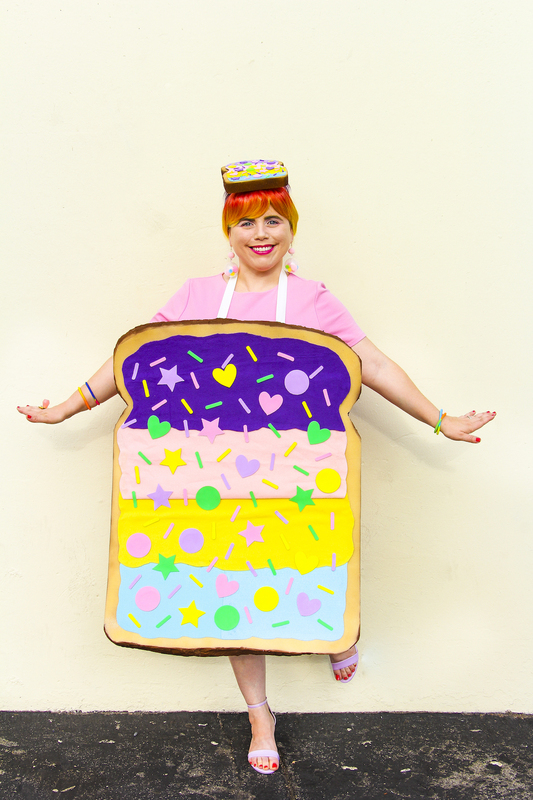 That finishes the giant toast costume piece. You then move on to making your head piece. You do the same process except you’ll cut out a small piece of toast that fits the size of your head. 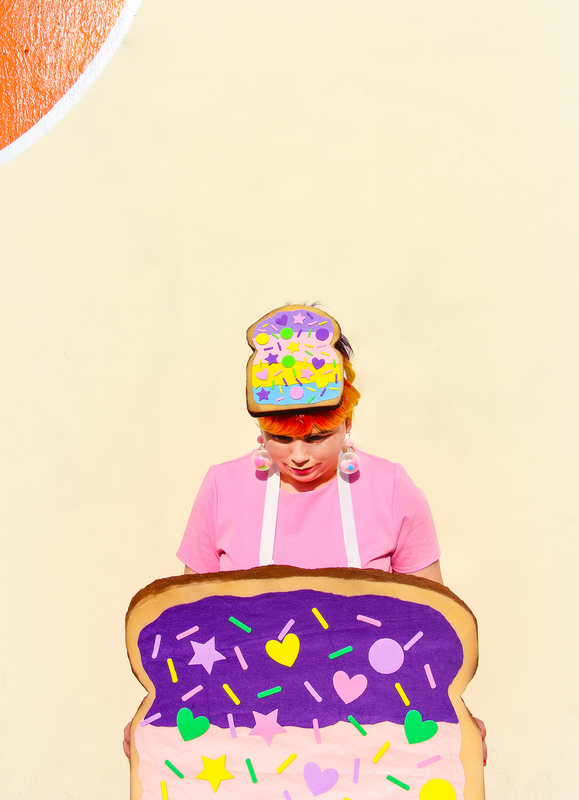 You also cut out small felt and sprinkle pieces to match the size of your head piece toast. 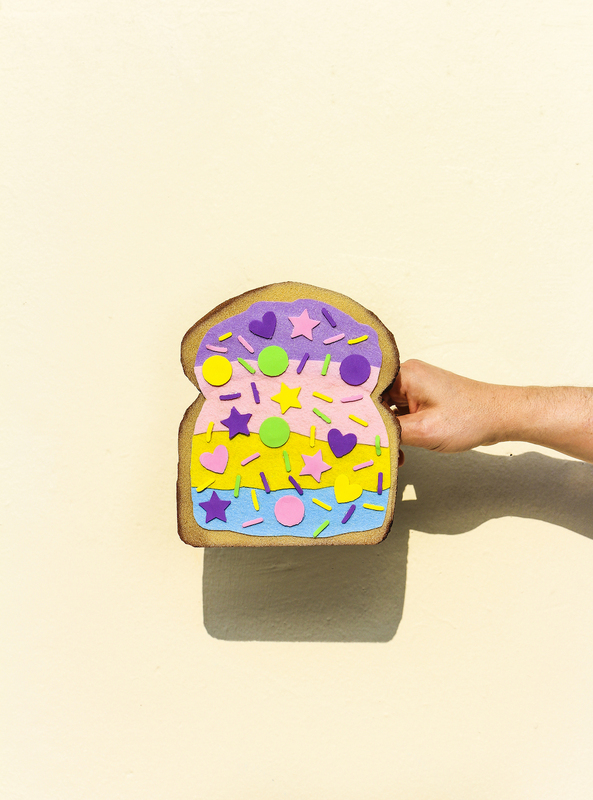 Spray paint the mini toast piece as you did the giant piece. Let it dry and once it’s dry, glue your felt pieces onto it. You then glue on your sprinkle pieces carefully, since they are smaller pieces you can easily burn yourself with a hot glue gun. Be careful as you glue! Once all your pieces are glue onto your mini toast, let it all dry. Lastly you glue the mini toast to a white headband with hot glue and let it dry completely. 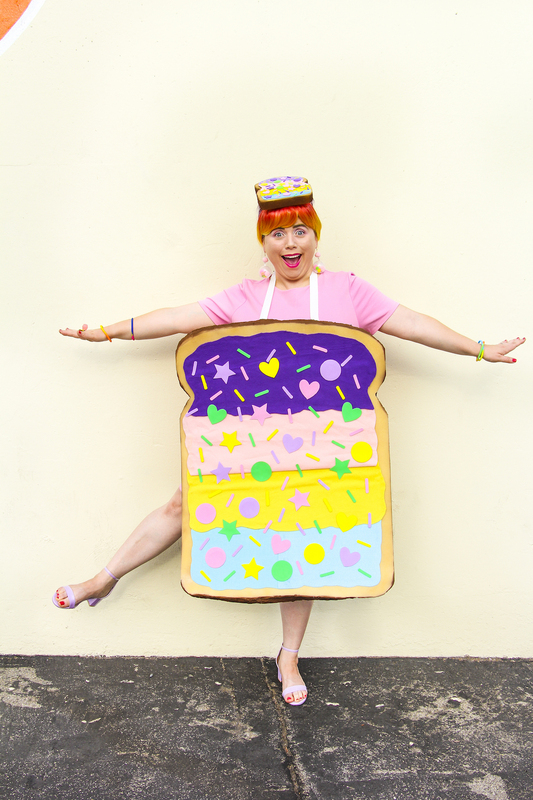 Kick your heals up and dance since you made yourself one adorable unicorn toast costume for Halloween! I hope you love this costume just as much as I do! I LOVE IT! This costume was a little bit of work to do, but I’m obsessed with it and it was so worth it to make! I hope you feel the same! Stay tuned for more of our 2017 Halloween costumes coming at you all week! 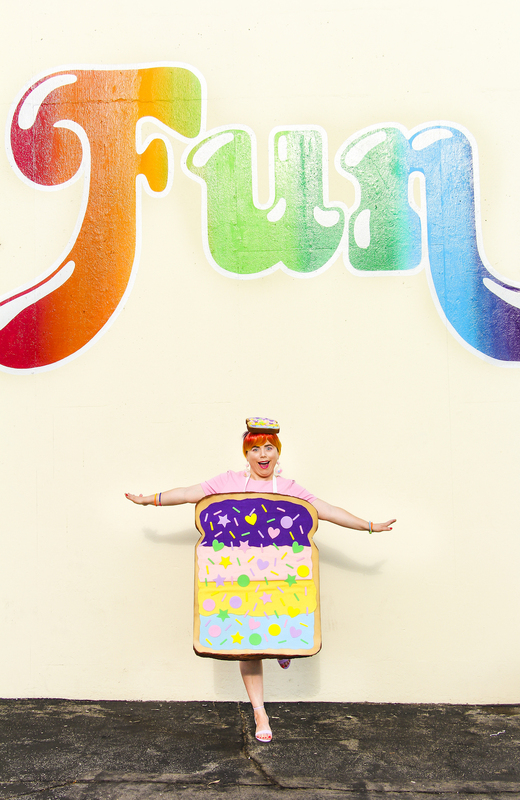 If you make this costume be sure to tag me @BriteandBubbly and use the hashtag #BUBBLYSQUAD so I can see how amazing you look in your unicorn toast coastume! 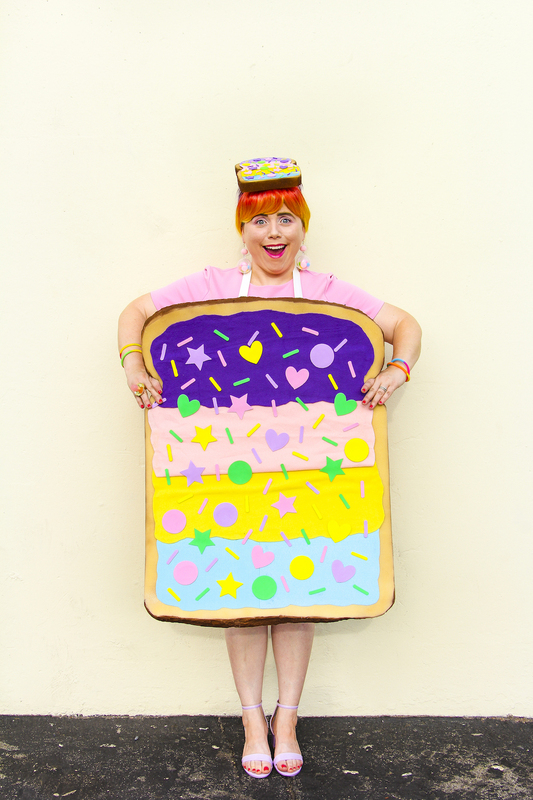 You can find more Halloween Fun Costumes and DIYs HERE! How did you connect your straps to your toast? Also did you make a piece for the back or just one for the front?